Micro-Scope - Vidio Inspection System.W/ Color Camera. Allows inspection of 1 1/2" - 3" drains and many other hard to reach places. 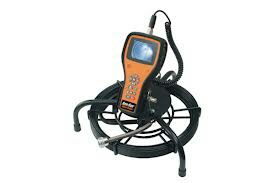 * Please call us with any questions about our pipe inspection camera rentals in the cities of Redwood City, Menlo Park, Palo Alto, San Mateo, San Francisco, Santa Clara and more.